« Global Warming on Earth Has Begun! Scientists Break the Speed of Light! According to the electro-gravity model, there is no energy transfer in the force produced by a static gravity field. It can therefore be postulated that electro-gravity ‘waves’ have propagation speeds much greater than that of speed of light. I may also speculate that it is possible to describe this as a quantum tunneling effect, where the light energy is absorbed on the transmitter side and re-appears on the receiver side – without any travel time between. The light on the receiver side may not even be the same light, so the speed of light limit is really not broken. In other words, as expected the mass-energy is not moving faster than light, only the pulse information is moving faster. It has now been found that recent light speed experiments (L J Wang et al. 2000 Nature 406 277) has surprised the scientific community with reports of speeds of information that is 300 times the speed of light. 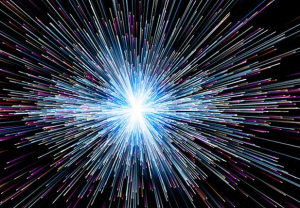 “SCIENTISTS claim they have broken the ultimate speed barrier: the speed of light. 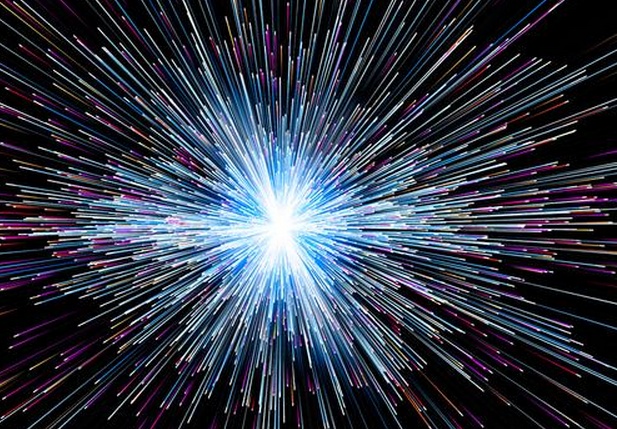 In research carried out in the United States, particle physicists have shown that light pulses can be accelerated to up to 300 times their normal velocity of 186,000 miles per second. The implications, like the speed, are mind-boggling. On one interpretation it means that light will arrive at its destination almost before it has started its journey. In effect, it is leaping forward in time. Exact details of the findings remain confidential because they have been submitted to Nature, the international scientific journal, for review prior to possible publication. The work was carried out by Dr Lijun Wang, of the NEC research institute in Princeton, who transmitted a pulse of light towards a chamber filled with specially treated caesium gas. Before the pulse had fully entered the chamber it had gone right through it and travelled a further 60ft across the laboratory. In effect it existed in two places at once, a phenomenon that Wang explains by saying it travelled 300 times faster than light. The research is already causing controversy among physicists. What bothers them is that if light could travel forward in time it could carry information. This would breach one of the basic principles in physics – causality, which says that a cause must come before an effect. It would also shatter Einstein’s theory of relativity since it depends in part on the speed of light being unbreachable. Dr Raymond Chiao, professor of physics at the University of California at Berkeley, who is familiar with Wang’s work, said he was impressed by the findings. “This is a fascinating experiment,” he said. In Italy, another group of physicists has also succeeded in breaking the light speed barrier. In a newly published paper, physicists at the Italian National Research Council described how they propagated microwaves at 25% above normal light speed. The group speculates that it could be possible to transmit information faster than light. speeding up the way signals move through computer circuits,” he said. Wang’s experiment is the latest and possibly the most important evidence that the physical world may not operate according to any of the accepted conventions. In the new world that modern science is beginning to perceive, sub-atomic particles can apparently exist in two places at the same time – making no distinction between space and time. Separate experiments carried out by Chiao illustrate this. He showed that in certain circumstances photons – the particles of which light is made – could apparently jump between two points separated by a barrier in what appears to be zero time. The process, known as tunnelling, has been used to make some of the most sensitive electron microscopes. that another mechanism may be at work.